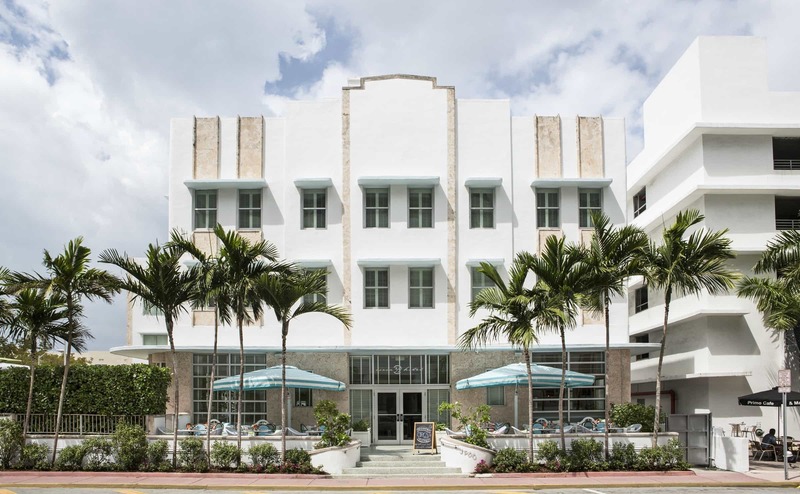 Miami is packed with hotels that serve the thriving tourism business in the city but no hotel is quite like Circa 39 Hotel. 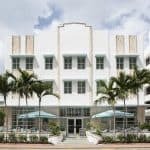 The hotel is situated in a wonderful location where you’re just a short walk away from the famed Miami beaches and most notably Circa 39 is just minutes from the trendy South Beach scene. The hotel is decorated in an eclectic manner that never seems pretentious or ostentations but vibrant and rather funky. Circa 39 is actually two separate buildings with a courtyard sandwiched between, it’s the perfect spot for lounging in the sun or curling up with a cocktail and a special someone. 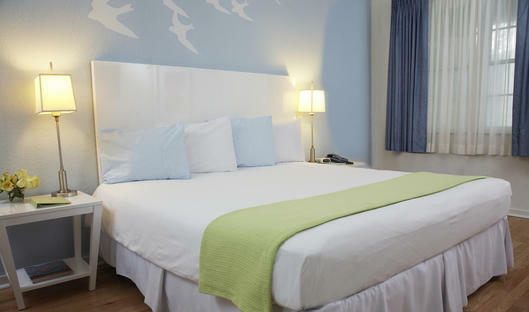 Circa 39 features 100 modern guest rooms and suites decorated in comforting soft blues and crisp whites. You can choose between king or queen rooms, double rooms, junior suites and one bedroom suites. Every room features a wonderful view of the pool, the courtyard or the city. For those pet lovers in the crowd, take note that there are rooms available where your little critter (as long as your little pooch is weighs less than 20 pounds) will be accepted, but expect to pay an additional $75 per night for this added luxury. The attractions at Circa 39 are basically the same as they are for every hotel in the Miami area, the beach and the South Beach scene. Miami’s Beaches are each a little bit different and draw a different crowd, learn a bit about the beaches before you decide to spend a day at one. 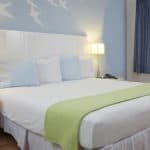 But one of the great features of staying at Circa 39 is the nearby beach where hotel guests have access to beach service which comes complete with chairs and towels for no additional charge. Perfect for lounging during the day or a quick dip in the ocean before a night on the town. South Beach is not only a famous and popular beach, but it’s also a super trendy section of town packed with celebrities, tourists, and weird and wacky locals out looking for a good time. Explore South Beach’s world class restaurants, one of a kind boutiques, vibrant night scene and interesting arts and entertainment option. For those who want to spend a little more time at the hotel the pool area is a great oasis from the stressors of daily life with a great sun deck, teak chaise lounges, cabanas and snacks and cocktails. There is also the aforementioned courtyard which provides another respite for guests of Circa 39. If lounging isn’t exciting enough for you, try the fitness center or the spa services. Circa 39 is well designed to accommodate all sorts of group gatherings, from media productions to business meetings and intimate weddings. The staff is available for your group and your specific needs on a 24/7 basis providing some of the most basic needs for group events, such as internet, to some of the more obscure requests that may come up during the taping of a major motion film. Circa 39 goes out of its way to accommodate all of its guests whether you’re a couple sharing a special occasion or a group working on location. 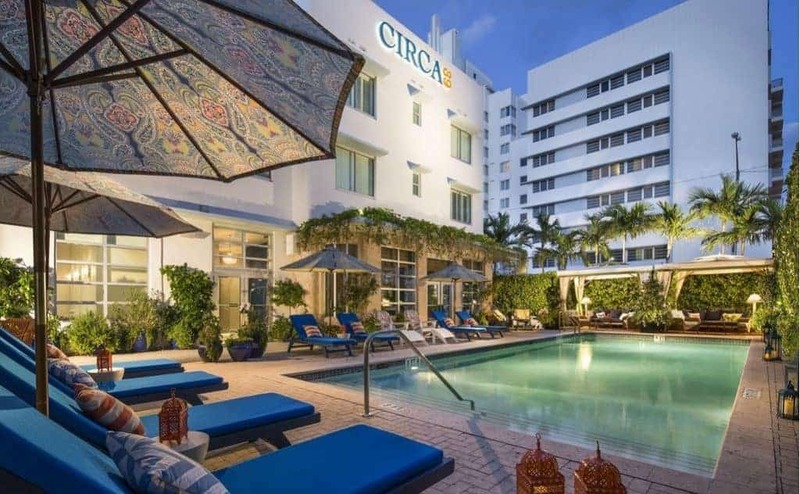 Circa 39 is located near some of Miami’s top attractions, the Beach and the South Beach scene, but it’s also a short distance from many other attractions. Miami has a thriving art scene and the large number of museums dedicated to a variety of artistic studies is evidence to this importance. In addition to the art museums there are a number of other museums throughout the city dedicated to topics of interest such as science, Florida history, the Jewish experience in Florida, and architectural history. But the real beauty of Florida is what is outside, explore Miami’s unique attributes at Jungle Island, Fairchild Tropical Botanical Garden, Vizcaya Museum and Gardens, the Venetian Pool, Monkey Jungle, Coral Castle and the Everglades. Miami has a certain reputation for its incredible nightlife and guests at Circa 39 are located smack dab in the center of one of the most happening areas of the city. If you’re up for a stroll you can wander over to the South Beach area and walk from party to party, hitting several clubs along the way. The strip turns into a non-stop party at night and streams of people move from club to club. If you keep your eyes open its very likely you’ll see one of today’s hottest celebrities as this area is one of the most popular with the young and uber wealthy. For those who love dancing the Cuban influence in the Little Havana section of Miami creates a remarkable mix that throbs with energy. And live music lovers will delight with the unique jazz and blues sounds in downtown Miami, the Afro-Cuban fusion and Latin influence in Little Havana and the techno inspired Brazilian sound in the bay area.